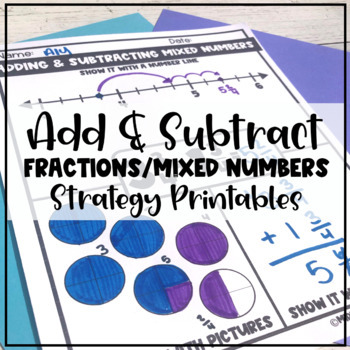 This packet is a complete resource for practice using the top three strategies for adding and subtracting mixed numbers with the same denominator. Students solve each problem in three ways; using fraction diagrams, number lines, and through a mathematical algorithm. It currently includes a total of 10 problems, five for addition and five for subtraction. 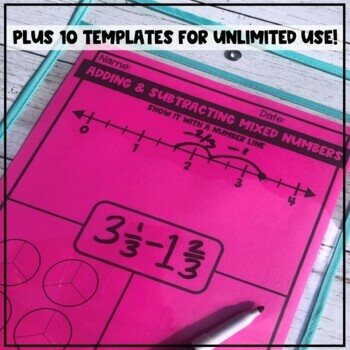 My students found these helpful in truly understanding what adding and subtracting mixed numbers looked like.